Talking with parents about the importance of children's writing, Brazil, April 2018. Answering questions from second and third graders, Curitiba, Brazil, April 2018. 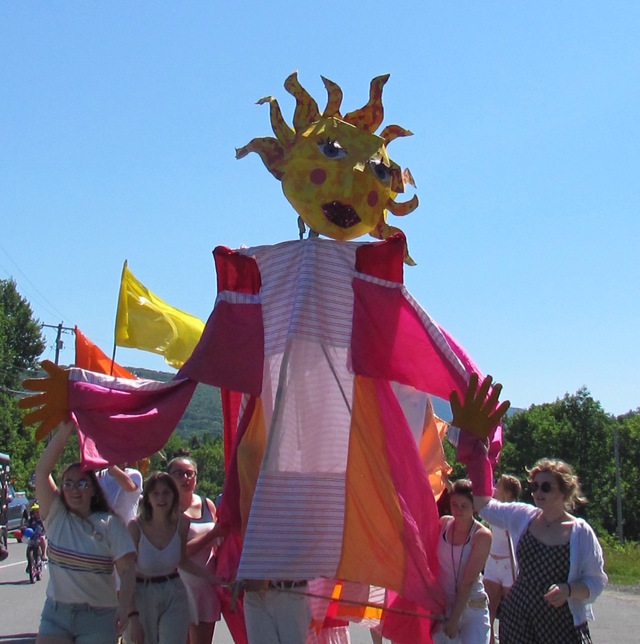 GIA students' puppet parade, Fourth of July, 2018, Castleton, VT . Writing Workshop, International School of Curitiba, Brazil, April, 2018. Writing Students' Illustrated poems and Exquisite Corpse pages displayed in the Gallery, Castleton University, 2018. VERMONT GOVERNOR'S INSTITUTE ON THE ARTS, Castleton University, July 2018.